Use your iPhone 4 to make free Skype Video calls over Wi-Fi or 3G any device running Skype—computers, TVs, even the latest generation iPod touch. Skype video chat opens up the door to the approvimately 25 million people signed into Skype at any give time. That means free audio calls and video calls anywhere in the world to other Skype users. To use the new app, you'll need an iPhone 4, 4th generation iPod touch or iPhone 3GS with iOS 4.0 or higher for video chat. (The iPhone 3GS uses the back camera.) 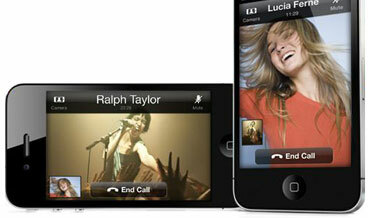 You can also receive video calls on the 3rd generation iPod touch and iPad. Just make sure your device is running the latest version of Skype by checking the App Store for updates. I tried Skype video chat between my 4th generation iPod touch (on Wi-Fi) and my iPhone 3GS (on 3G) and found the video quality to be surprisingly good—especially when compared to other video chat services I've used. It's good enough that I'm planning on using it to talk to my kids when I'm out in Las Vegas for the Consumer Electronics Show next week. excellent. it’s about time thanks for the post. Can I download the new skype for video directly to my iphone4 using the iphone4 app store, rather than downloading from skype to my computer first, and then syncing my iphone to itunes. Could not find the new skype with video in my iphone app store. Dave. The app is the same Skype app they’ve had. You just need to update the app. That can be done with your phone in the App stored. Once the app is updated the video capabiities will be there. Enjoy! I updated Skype on my iphone4 but cannot find where the video chat is located. Help please. @Michael When you select a contact, one of the options is to make a video call. And if the person is online, you’ll see a video camera icon next to their name if they are available for video chat. I can’t video chat either. I can on my iPad but not iPhone. No option to.